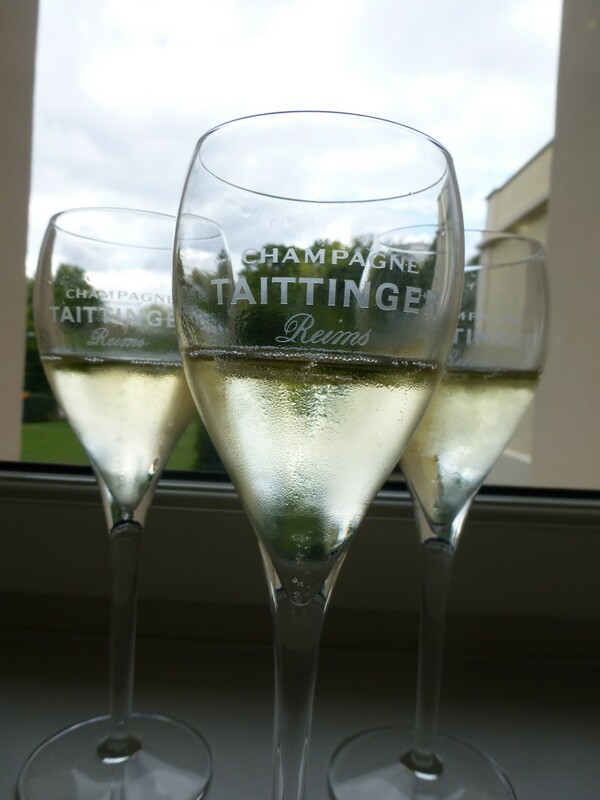 HomeMy Travel BlogChandon, Perignon and Tattinger – Oh My! 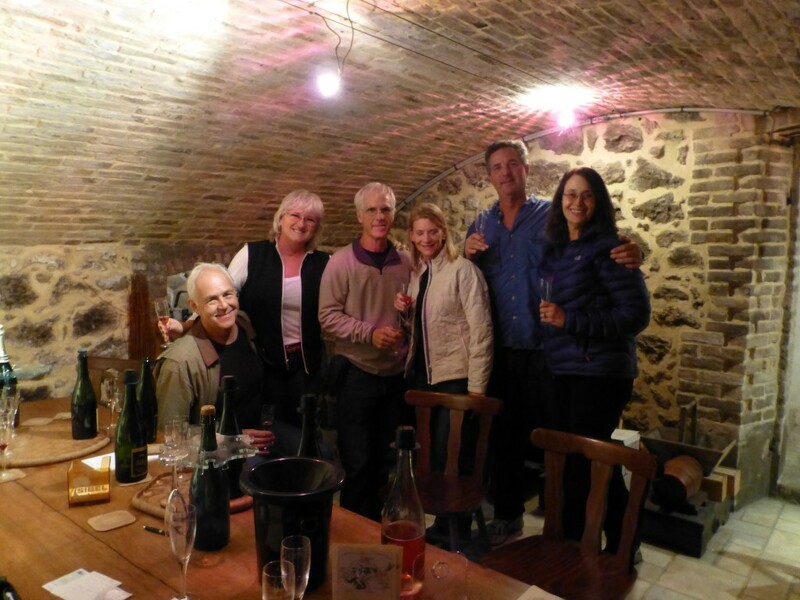 The tasting with Michel Gonet was the perfect beginning for our champagne mission. The next stop was Reims. I’ve never been a huge fan of large champagne houses. Vintners like Moet & Chandon, Dom Perignon and Tattinger, in my opinion, don’t offer the value of the smaller producers. What they do offer is an interesting tour of their massive facilities. We visited Tattinger with its vast underground caverns originally excavated by the Romans (The French pronounce Tattinger Tah-ta-jay.) 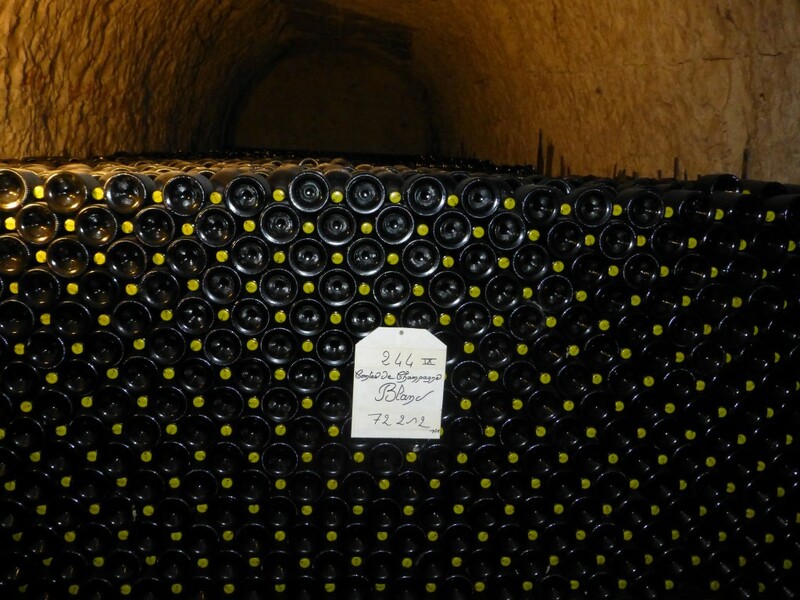 These chalk lined caves are now used to age over 20 million bottles of champagne. At the end of our tour we were given a glass of Tattinger’s least expensive champagne, and that’s what it tasted like. We didn’t buy any. We hit the road searching for some of those smaller gems scattered thru out Champagne. One of the more delightful stops was at Alfred Tritant in Bouzy. We knocked on the front door, and were met by a lovely young lady carrying a small child. Fortunately she spoke English. We were escorted down a steep and narrow stairway to a small cave like room with low ceilings. There we found six guests seated around a table tasting wine. There wasn’t any room at the table for our group so chairs were hastily brought in. Once the party in front of us left Mrs. Tritant poured us champagne while her children ran in and out of the tasting room. The champagne was excellent and reasonably priced. 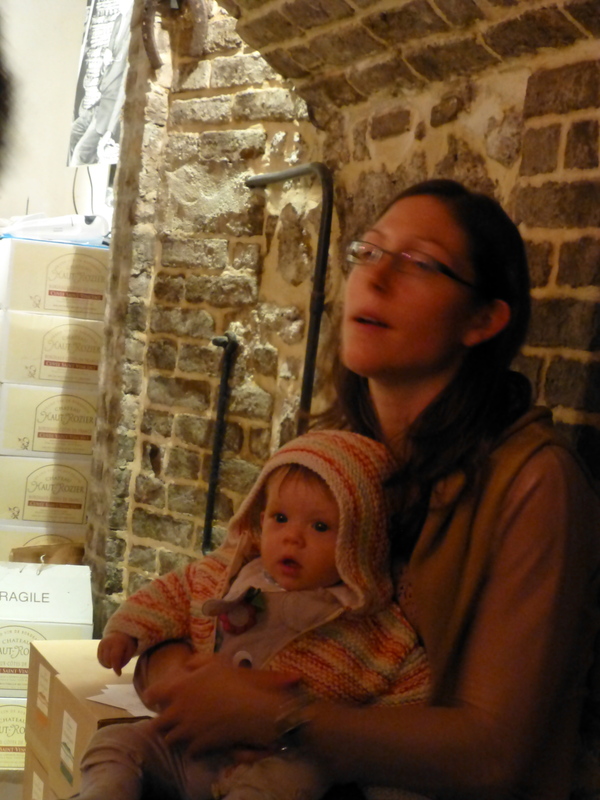 The kids were cute, Mrs. Tritant was delightful, and their tasting room warm and cozy. We were really starting to get into the champagne mood. 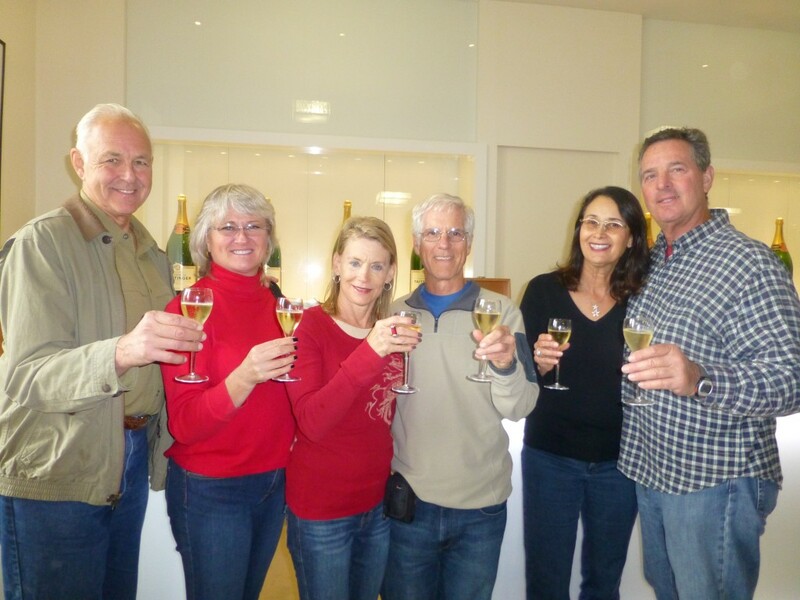 With our friends Scott, Lovita, Jon and Cherolyn we visited many more champagne houses. We now have enough champagne to last the rest of this year, and all of next year. It was time to say goodbye, but our champagne mission wasn’t over. 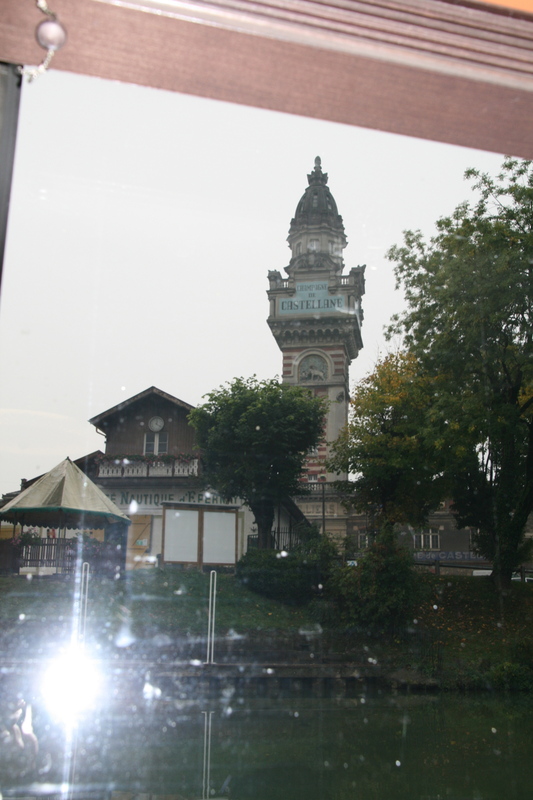 The Marne River runs through the heart of Champagne and we still had a long ways to go. 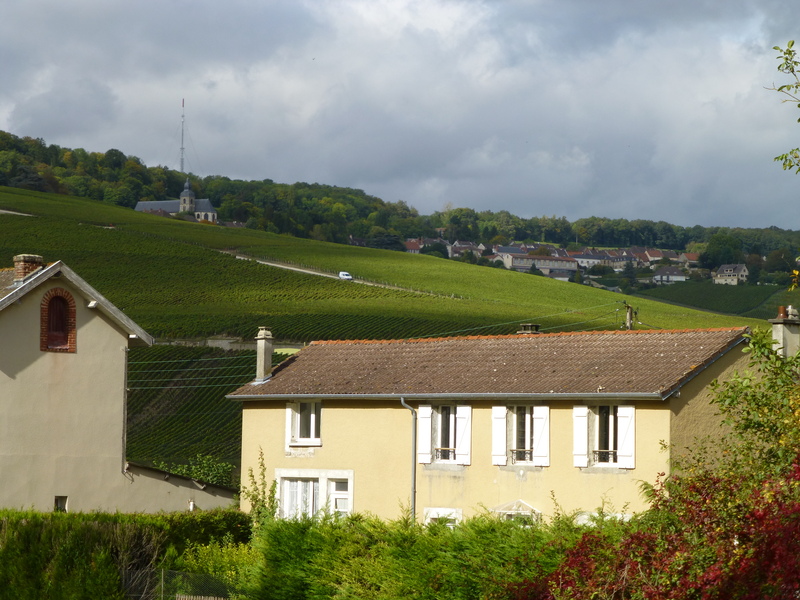 When we left Epernay the current was much stronger than anything we had experienced so far. I was talking to Wilco and not paying attention. We went around a tight curve, and with the current running so fast Rabelo ended up in the trees. 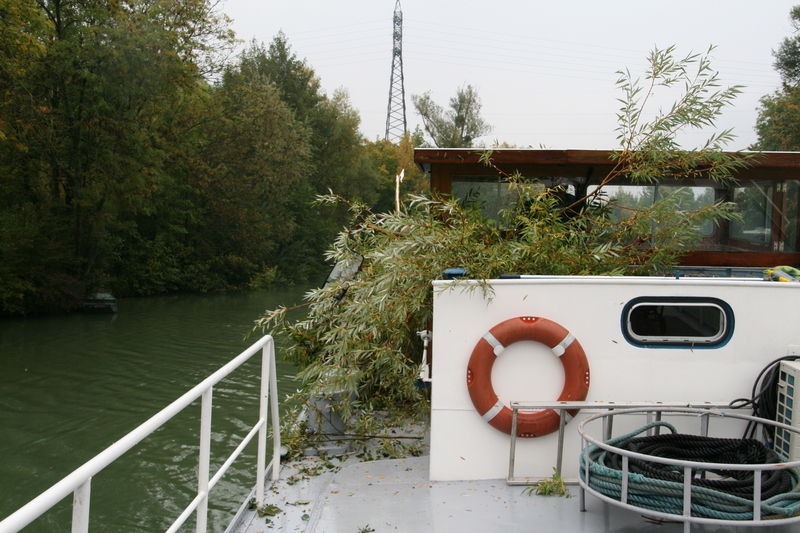 Fortunately we didn’t damage the pilothouse.